Have a question? Need an estimate? Want to schedule an appointment? Please call us at 519-363-2872 (office) or 1-800-269-2561 (toll free), or fill out and submit the email form below. 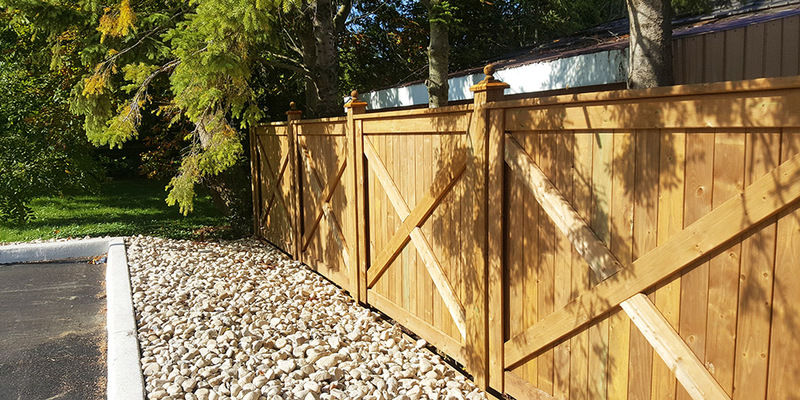 What’s new at Modern Fencing? Modern Fencing is a division of B & L Farm Services Ltd. founded in 1984 by Bob Johnson to better serve the needs of the local farming community. Modern Fencing was formalized as a division of B & L Farm Services in 1986 to meet growing demand. Bob’s son, Noel Johnson, is the second generation to head Modern Fencing. Noel continues the company’s tradition of – and commitment to – providing customers with quality products and professional services at competitive prices. Pictured right: Our expert installers add razor wire above a chain-link security fence.